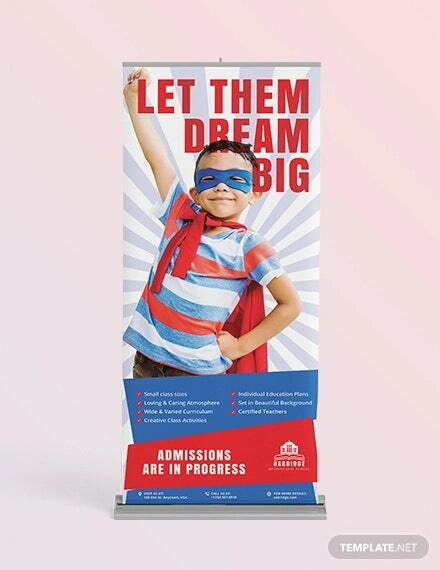 A roll up banner designs is a marketing and informational tool that contains the details that are needed to be known by people regarding an event, an advocacy, or any point of discussion, which is the reason why the roll up banner was made. 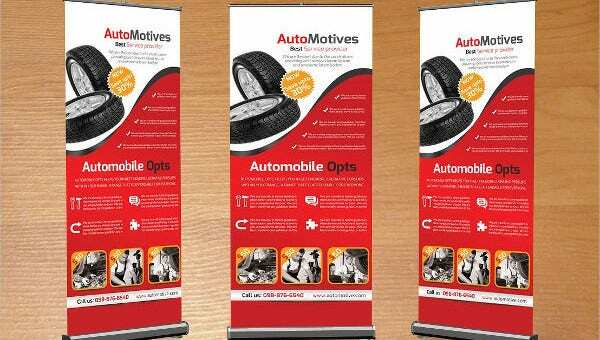 Roll up banners are used in different locations by various entities because of its compact size and effectiveness. 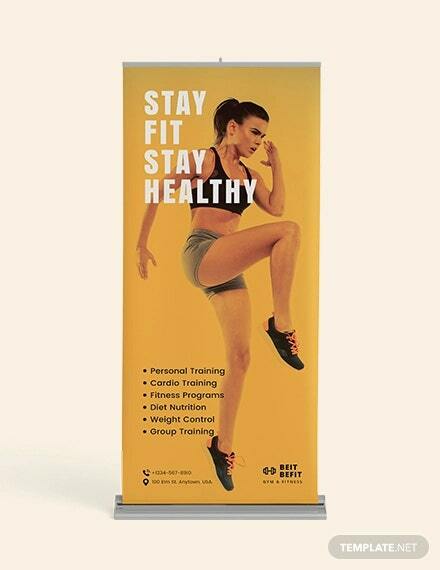 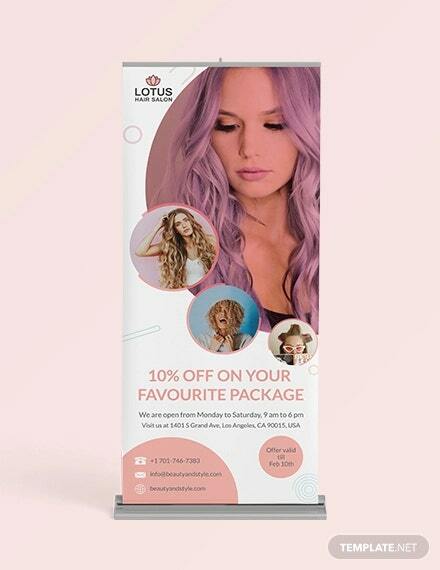 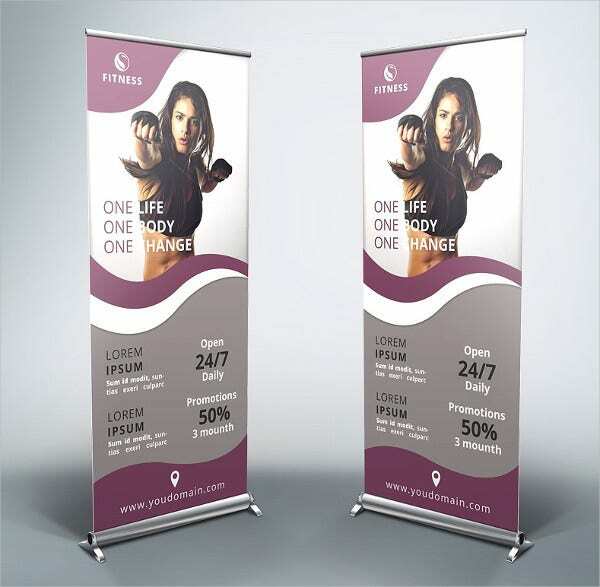 We can give you samples of roll up banner templates with different designs and attributes so you can select the roll up banner design that you will use for the purpose that you want it to serve. 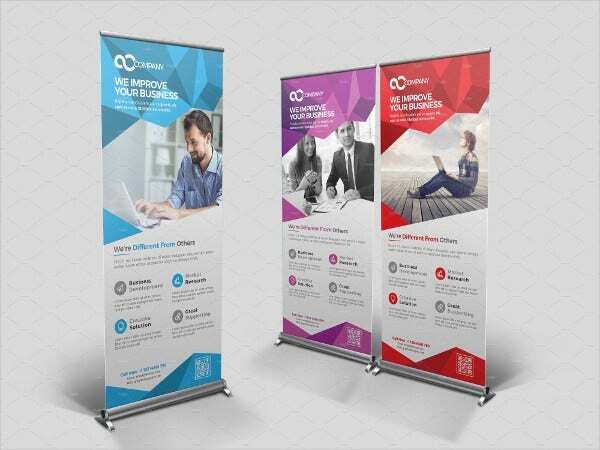 Moreover, we also have other kinds of banner templates usable in different activities which you may be interested to browse through and download. 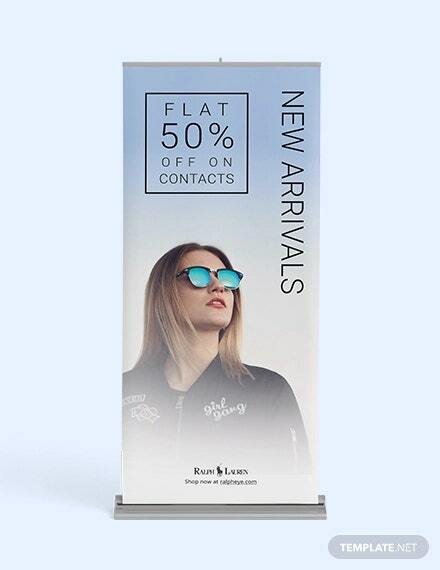 Shop signage roll up banners are used by stores to assure that the new products or the best sellers of the business are well marketed. 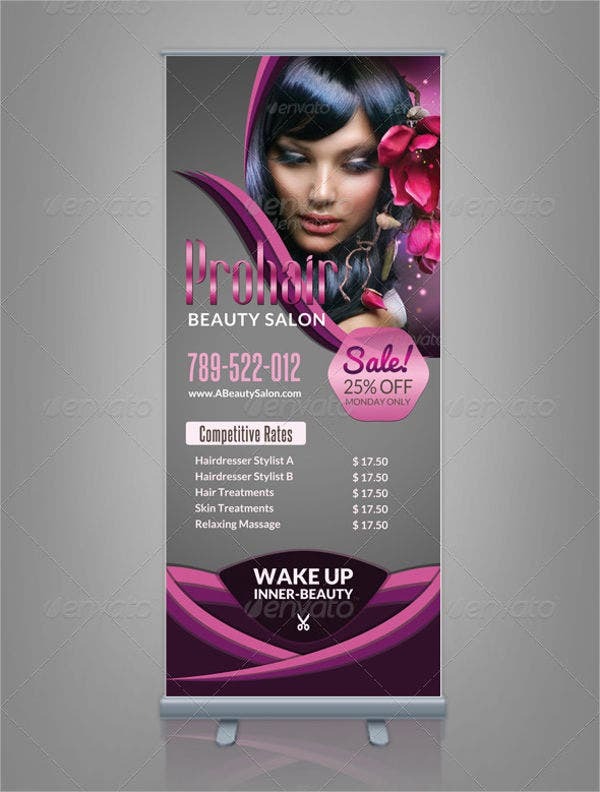 Jewelry stores, salons, spas, gym, and automotive businesses are usually the users of this kind of marketing tool. 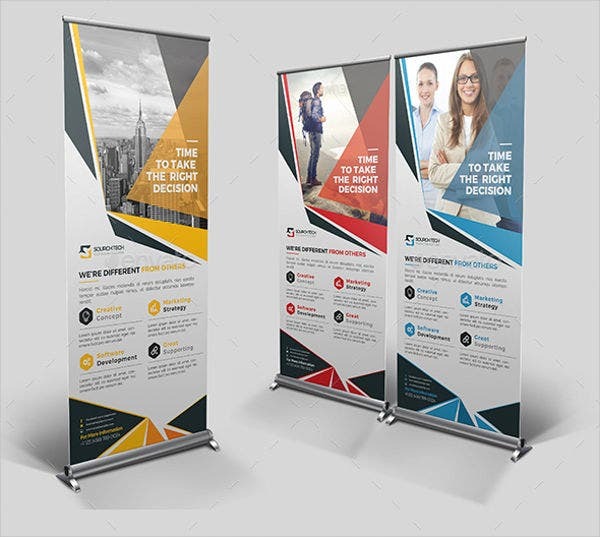 Corporate and business roll up banners may be used by companies to create awareness about their brand may it be on conventions that they have sponsored or hosted or during career fairs where they seek qualified professionals that can render their expertise to the company. 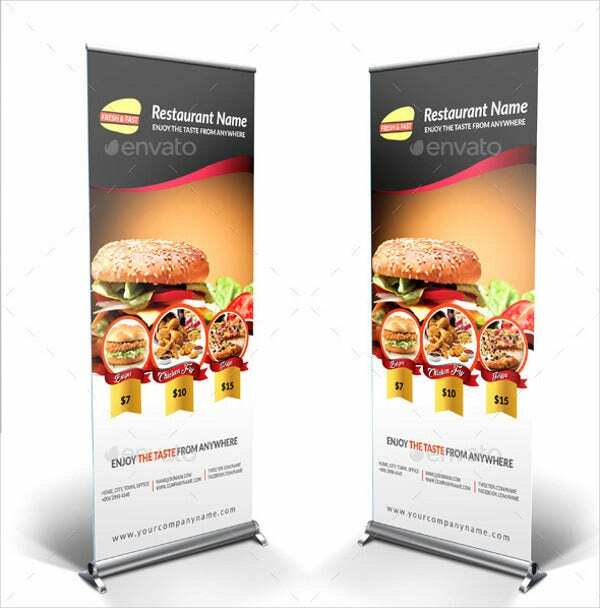 Restaurant roll up banners are mainly used to show the menu of the restaurant. 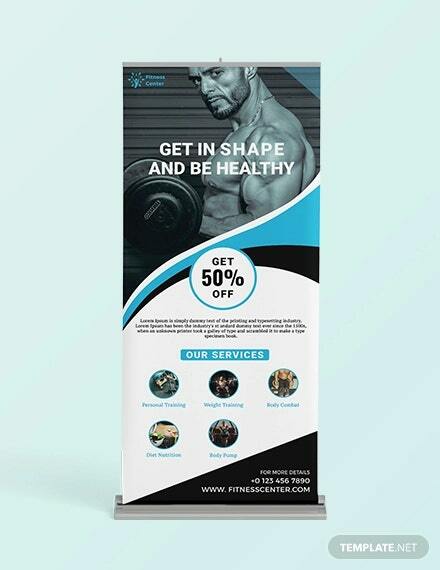 It can be the basic menu list of the restaurant, or it may also contain information about the limited food offerings of the business that customers may purchase just in a short period of time. 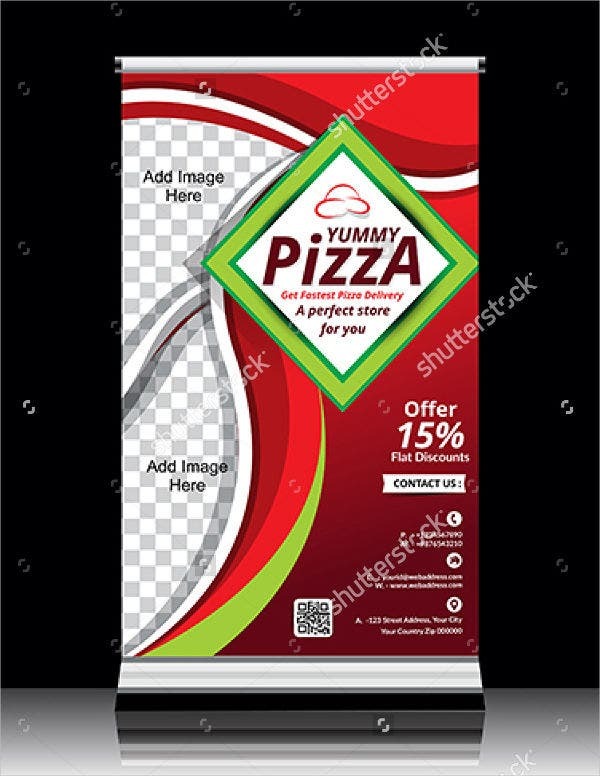 Pizza stores, fast food chains, burger shops, and other food establishments can make use of a roll up banner for a lot of purposes that concern the marketing and advertising of the products that they offer. 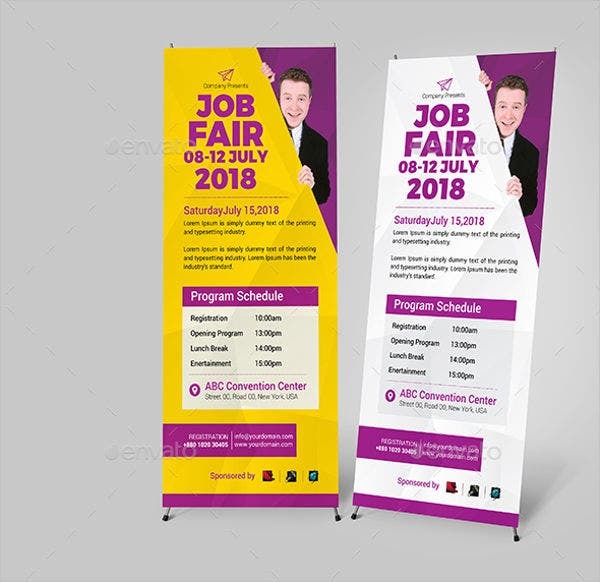 If you want more samples of downloadable roll up banner templates, you may browse through the link provided. 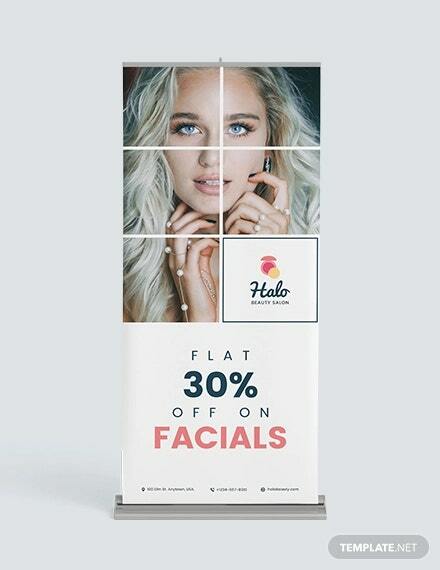 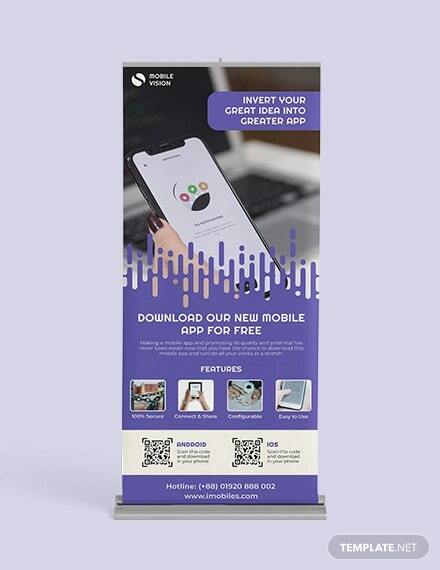 Because of the compact size of roll up banners, it is very easy to carry especially if the location where it will be placed is far from the actual location of the business. 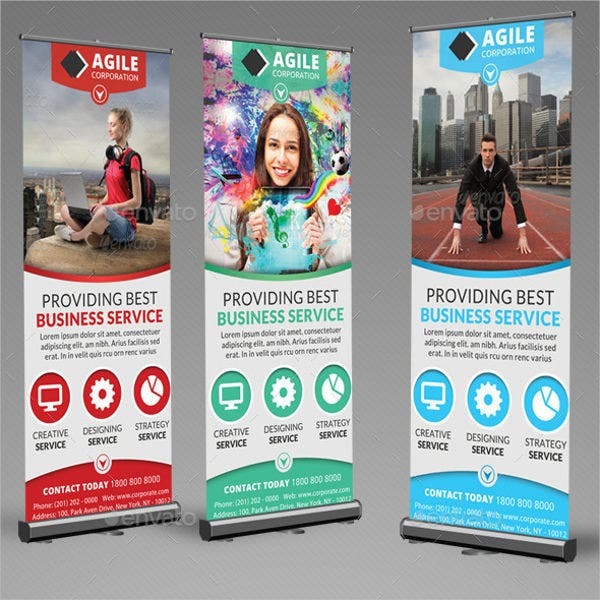 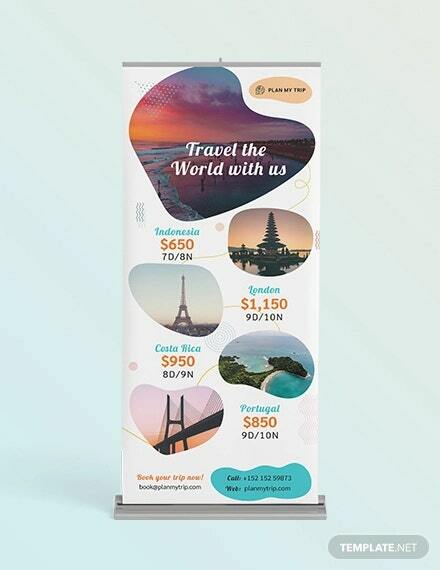 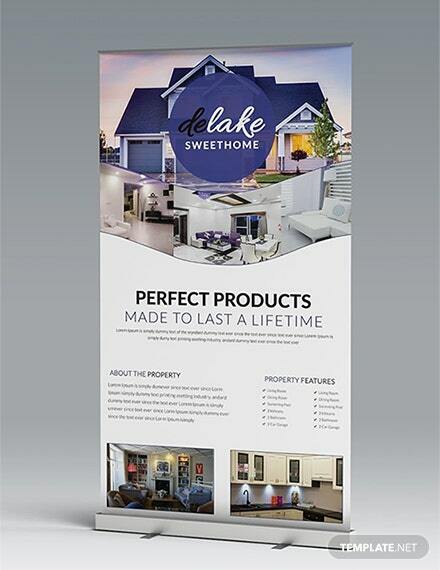 A roll up banner is easy to set up. 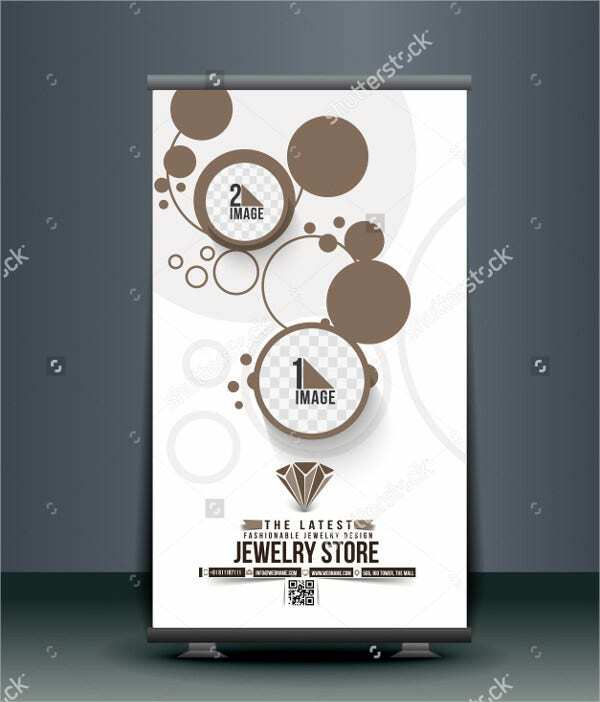 All you need to do is arrange the base where the roll up banner will be placed and you already have a structure where the roll up banner will be displayed. 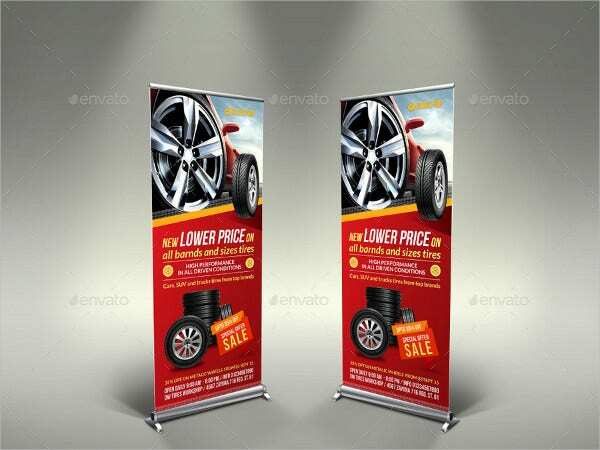 Roll up banners can either be standing, or it can also be hanged depending on the venue and how the banner will visually look upon placement. 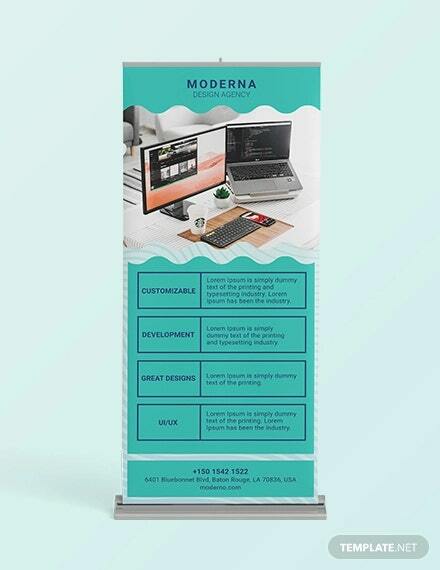 Roll up banners are very informative. 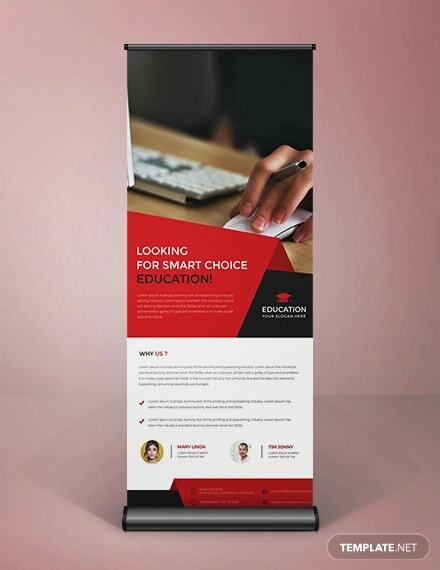 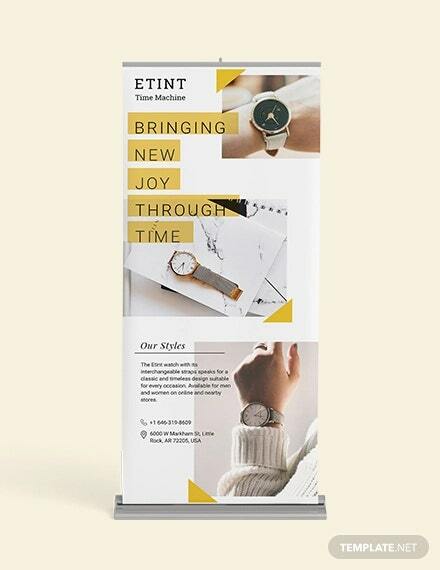 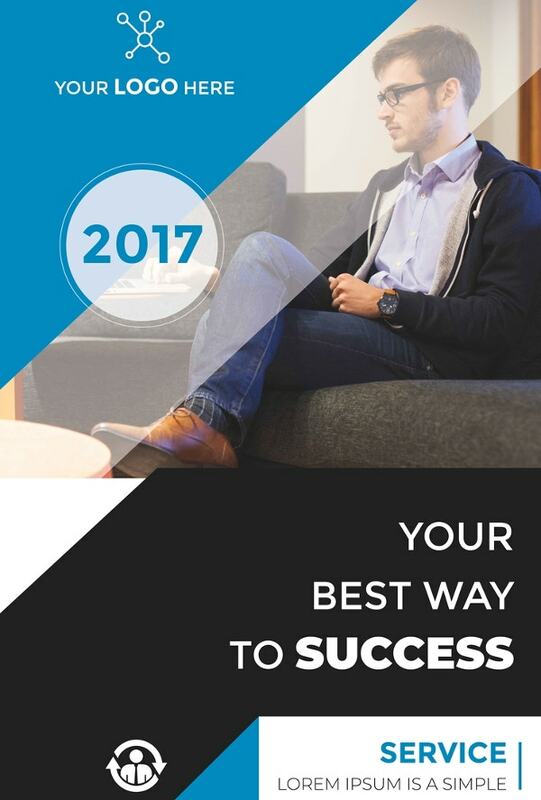 With the little space provided by the medium, the content that can be seen in a roll up banner are precise, well organized, and on point. 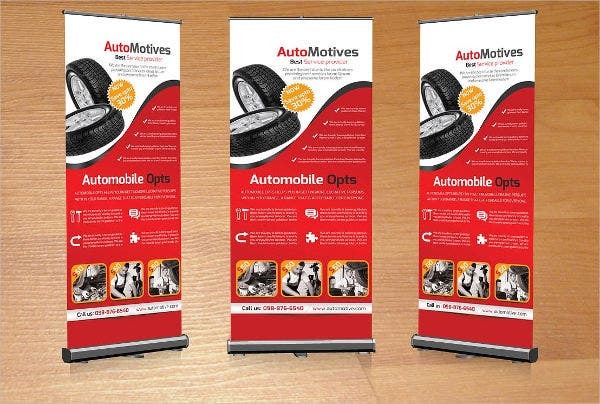 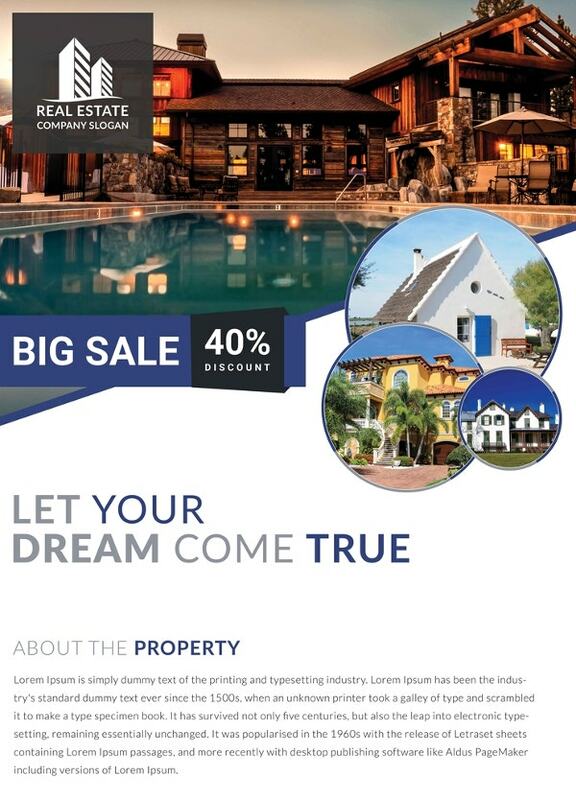 Aside from our roll up banner samples and templates, we can also provide you with samples of blank banner templates.